The holiday season is a perfect time to tap into the creativity and innovation of Alabama’s craftsmen and entrepreneurs. With that in mind, Made in Alabama is rolling out its second Holiday Gift Guide showcasing original homegrown products that are ideal for sharing with friends or family members this holiday season. Last year’s list featured items such as the celebrated James Bond pea coat from Florence-based designer Billy Reid, a bamboo bicycle made in Greensboro and the luxurious Mercedes-Benz GL-Class sport utility vehicle assembled in Vance. The memorable Alabama-made creations on this year’s list range from the world’s fastest production motorcycles to a rocking chair fit for a rock star and handmade ink pens that everyone, but particularly whiskey aficionados, will appreciate during the gift-giving season. Of course, our list highlights only a few of the great Made-In-Alabama products that are available as gifts. If you know of other homegrown creations that deserve attention, please share them with us on our Facebook page. Joel Lockridge handcrafts pens from bourbon barrels. Wood Studio's Lookout Mountain Rocker is considered a handcrafted masterpiece. Tera Payne's Earthborn Pottery crafts dinnerware for famous chefs. Joel Lockridge, who lives near Birmingham, has crafted fine writing pens from antler, alligator jaw and the deck of a battleship, but he found his niche using wood from old Bourbon barrels. He’s used stock barrel wood from distilleries including Jack Daniel’s, Jim Beam, Maker’s Mark, Wild Turkey, and more. This year alone, he has handcrafted 500 pens, which he sells on his web site. His Alabama-made pens are well-traveled – he has sold them to customers in 27 countries over the past four years. You can read all about Lockridge here. His creations run from about $40 to more than $90. Randy Cochran and his two sons, Dylan and Keith, out of Arley in Winston County, operate Wood Studio. One of their signature pieces is the Lookout Mountain Rocker, a hand-made creation fashioned from native woods such as walnut and cherry and covered in hand-stretched vegetable-dyed leather. Its craftsmanship is so impressive that the Lookout Mountain Rocker claimed the top spot in Garden & Gun magazine’s “Made in the South Awards” in 2012. A few months ago, the wife of Hall of Fame rock star Tom Waits ordered a Lookout Mountain Rocker as an anniversary present for her husband. This kind of quality isn’t cheap – the Lookout Mountain Rocker costs $3,950. Gina Locklear hails from Fort Payne, a town in Northeast Alabama that called itself “The Sock Capital of the World” in the days before outsourcing shuttered many sock mills there. Working with her father, who owns one of the surviving mills, Locklear launched a line of socks made from organic cotton, called Zkano, back in 2009. They’re special enough to have made actress Kristen Bell’s 2013 Holiday Gift List for the E! network. “They’re organic, American-made, and they have these fun and funky prints,” noted Bell, who played “Veronica Mars” in the TV series. Fittingly enough, she was giving them as stocking stuffers. When celebrated Birmingham chef Chris Hastings challenged Bobby Flay on “Iron Chef America” in 2012, Hastings had a secret weapon – beautiful dishes crafted by potter Tera Payne. Her Leeds business, Earthborn Pottery, has grown from a hobby in her home into a source of signature dinnerware for many prominent chefs across the globe. Payne’s connection to Hastings goes back to 1997, when he commissioned her to create dinnerware and serving pieces for his Hot & Hot Fish Club restaurant. Her creations are sold on her company’s web site. When Remington Outdoor was looking for a partner to produce a new line of branded collectible knives, it was no surprise that the company turned to Bear & Son in Jacksonville. Bear & Son has a rich family tradition in knife-making, and everything is done in-house, from building its own blanking dies, to heat-treating, assembly and grinding, and, finally, hand-finishing. The Alabama firm will become Remington’s exclusive licensee for cutlery in 2015. Remington will soon be making its own Alabama-made products. 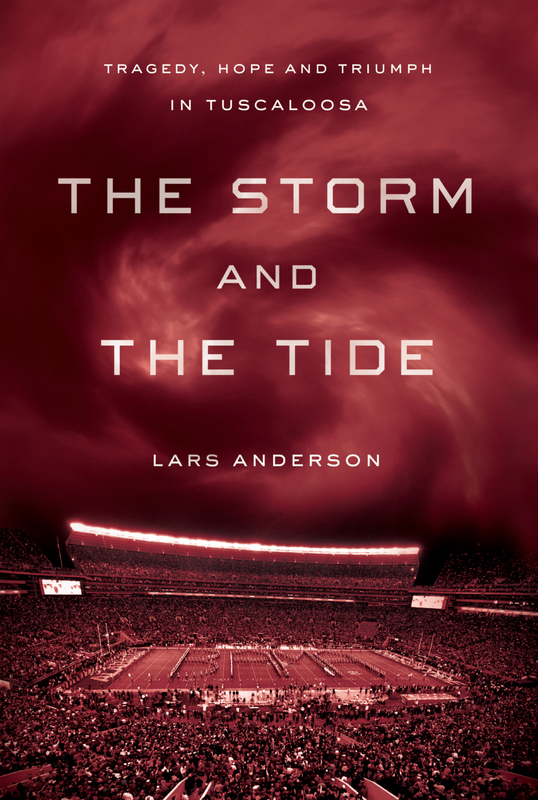 After he toured the widespread devastation in Tuscaloosa a week after the April 27, 2011 tornado took the lives of 53 people, former Sports Illustrated writer and University of Alabama professor Lars Anderson knew he wanted to one day turn his initial six-page magazine story into a book. After the Alabama Crimson Tide football team went on to win the National Championship that same year, Anderson felt even more compelled to tell the story of how football was more than just a game, but rather, in this instance, a unifier and healer for not just the Tuscaloosa community, but also the team and its coaching staff. The world’s fastest production motorcycles are painstakingly assembled inside a building on Fifth Avenue South in Birmingham. Motus Motorcycles, founded by Lee Conn and Brian Case, recently launched production of two models — the MST, priced around $31,000, and the MSTR, priced around $37,000. Each bike has around 1,200 components, including parts fashioned from carbon fiber and titanium, along with premium equipment from top suppliers. And they are fast — Motus motorcycles, piloted by the founders and bearing “Made in Alabama” decals, shattered speed records at the famed Bonneville Salt Flats last summer, clocking runs topping 160 mph. “The Motus motorcycle is another impressive ‘Made in Alabama’ product, showcasing the innovation and the expertise that exists in a state where talented people know how to design and build great vehicles,” Alabama Secretary of Commerce Greg Canfield said. Here’s a video of a test rider talking about Motus motorcycles.